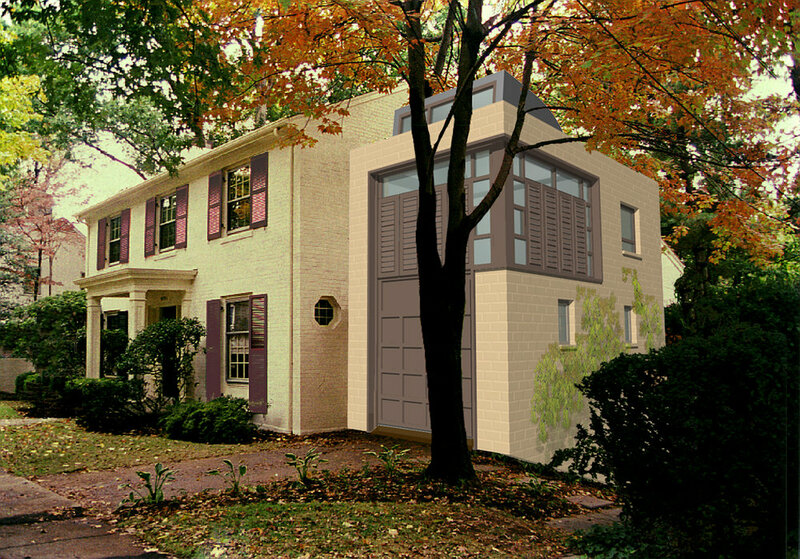 The scope of the project consisted of a simple two-room addition to a colonial-style house in Northwest Washington, DC. The challenge was to design something that would hold its own while not overtly competing with the existing house. The addition echoes the house while altering its features: the shutters are continuous instead of isolated, the windows are larger and wrap the corner to respond to views and light, dormers become a large-scale roof monitor, etc. 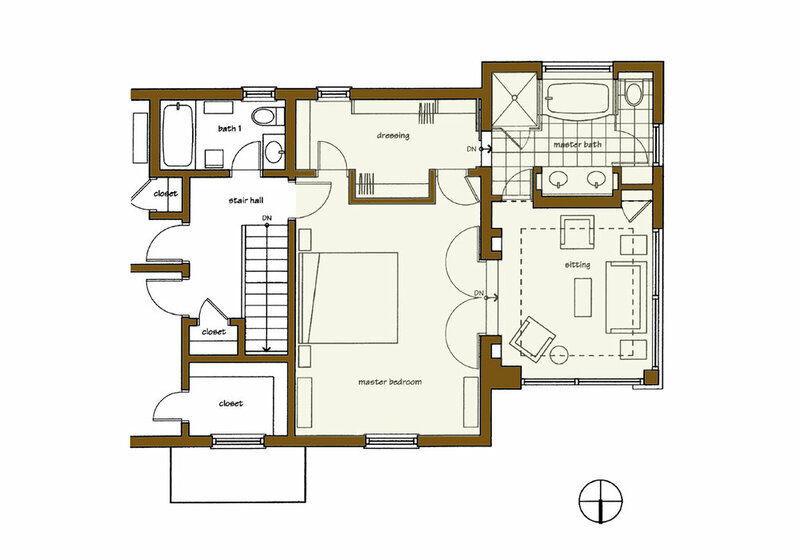 Above an existing on-car garage, a master bath suite and reading area extend the master bedroom. The reading room features a north-facing roof monitor to extend the height of the space and gather soft north light. Operable wood shutters create privacy while allowing filtered daylight. The bath area is compact yet open, oriented to offer views into the thick tree line on a steep slope to the south.